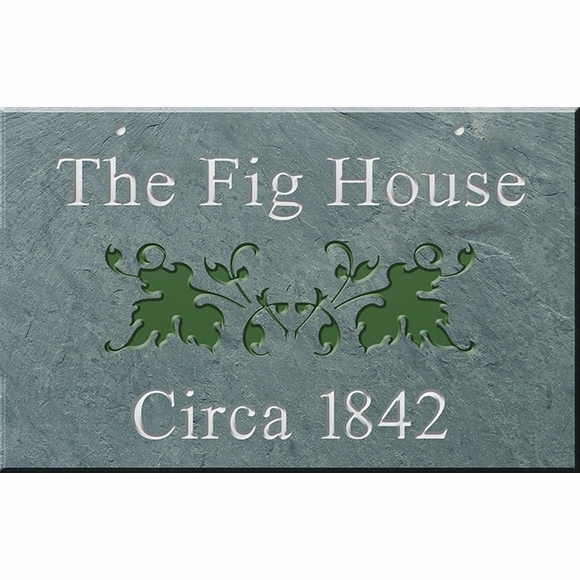 Personalized 2 Line Slate Address Plaque - - 12" x 9" stone address sign personalized with your address as shown, name, or alternate text. Made in USA. A chain of intertwined green ivy separates the two lines of personalization. Line 1 holds up to thirteen (13) characters (including spaces). Line 2 holds up to ten (10) characters (including spaces). Note: The personalization on lines 1 and 2 can be a house name and 'circa' date as shown, your street address, or any other text as long as it fits on the lines.